As all of the products featured this month happened to be bought on a whim, I'm not regretting my recent #feelingspendy ways. Often, when you pin your hopes on products riding a wave of hype and expect to be wowed, they're disappointing and it's the ones that seem to come from nowhere that bowl you over. I always like my lashes to be bold, so with the doll lash look being a major trend for A/W, I'm very much a happy bunny. 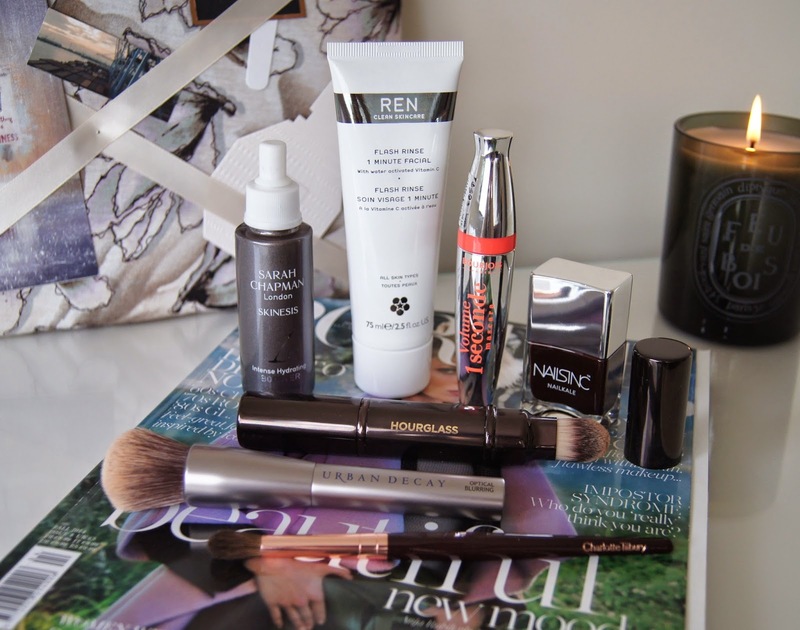 Whilst rummaging through my mascaras, on the hunt for some that would make the grade this season, I realised that only a seldom few got my seal of approval. Time to hit the shops. Hearing only good things about Bourjois' Volume 1 Seconde Mascara, I couldn't leave it behind. 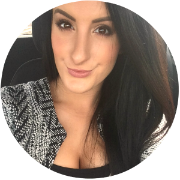 This formula gives me everything; volume, length and fanned out curls. It takes a while to get used to that monstrous wand. Manoeuvring that bad boy around the eyes without poking them out and being left blind, is tricky, but you soon get the hang of it. I do wish the tip of the plastic brush was tapered to make the inner corner application not as daunting, though. With one coat, lashes are separated and defined. Another slick adds drama, building volume, length and extra depth. Any more than that and things can start to get clumpy, which I personally like. But all those lashings only make this mascara tricky to remove. Great news if you struggle to find mascaras that last or hold a curl in naturally straight lashes. Bad news if you're running low on eye-makeup remover. 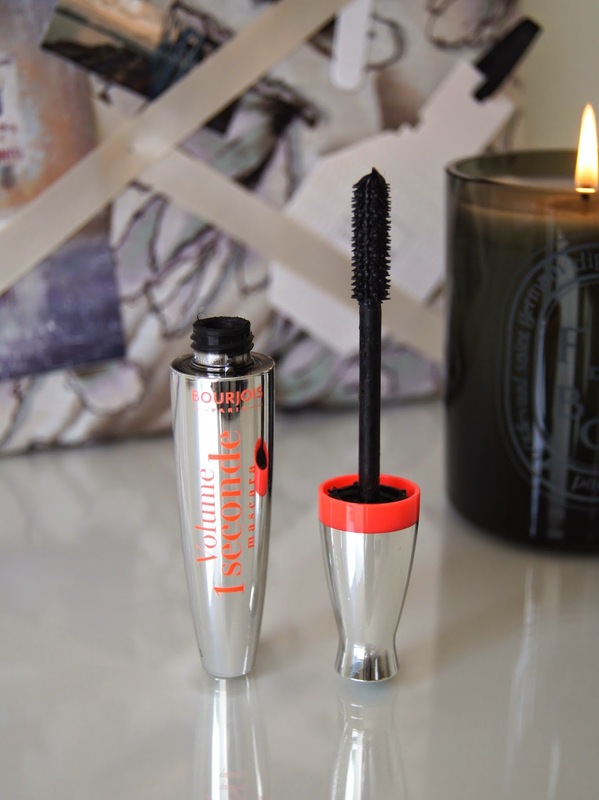 This mascara totally knocks its rivals out of the park, especially when priced at under ten pounds. For years, I've been perfectly content with using the Indeed Labs Hydraluron Serum to inject my dehydrated skin with a dose of hydration. Doing what it said on the tin, it gave me good results and the only, minor issue I had with it, was the tackiness of the formula. 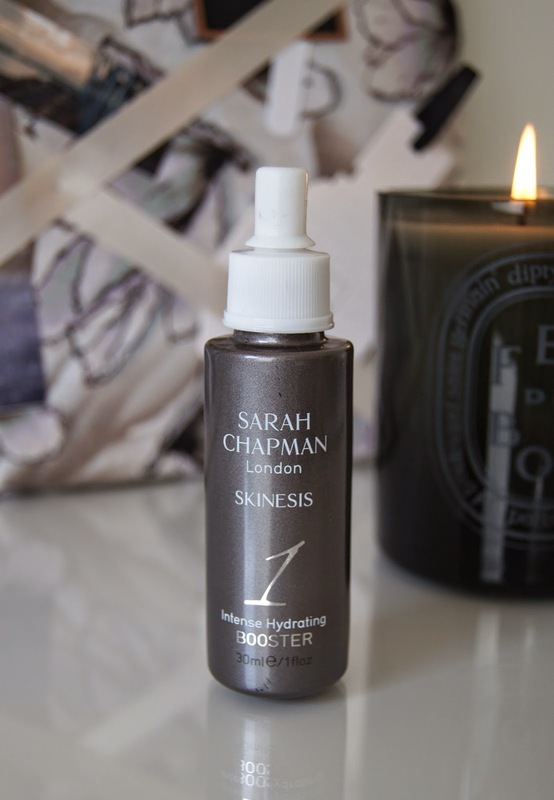 After being left in awe of the results that a couple of Sarah Chapman's products gave me previously, it was only a matter of time until I decided to bite the bullet and try the Sarah Chapman Intense Hydration Booster. Wow. This oil-free serum leaves my skin softer than I thought possible. Feeling so much more nourishing than other serums I've tried, the liquid has a decadent silkiness to it, without being oily or suffocatingly heavy. Not only does this serum hydrate, but it helps to fight break-outs, too. Creating a protective, bacterial shield, it prevents outside elements from aggravating the skin. I tend to follow this up with my usual La Roche-Posay moisturiser and afterwards, everything just feels plumped, firm and happy. Sinking into the skin instantly, it creates the perfect canvas for makeup. One pump of product drenches the whole face, so I can't see myself reaching the bottom of my bottle, yet. Unfortunately, it's bad news for my previous fling with Hydraluron and those back-up tubes that have stacked up will be reserved for when I'm all out of my new favourite. Unfortunately, one gripe that I have with this product, is the packaging. As you can see, despite only having this bottle for roughly a month, the lid has broken off. Thankfully, the pipette still works and I can get to the serum, but it makes me question the quality of the packaging. When paying top dollar for the range, you don't expect the products to be worse for wear in such a short space of time. Aside from that, this serum gets top marks. 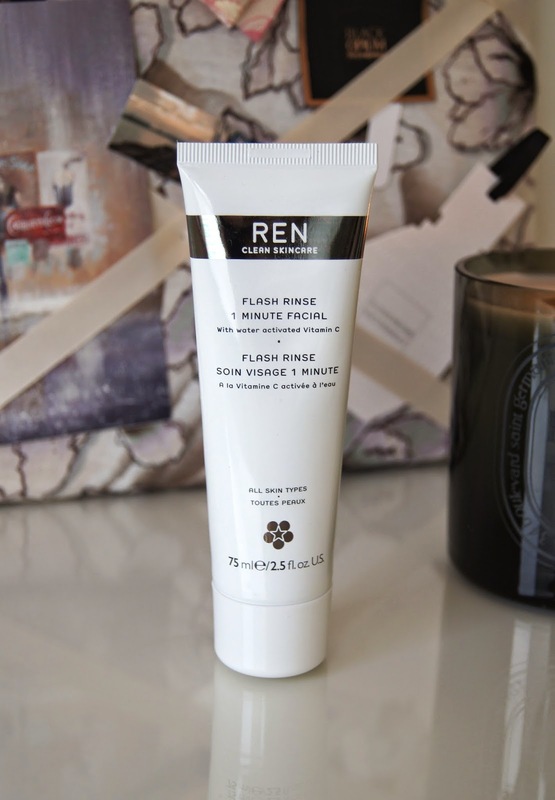 I've previously posted a whole ode to the REN Flash Rinse One Minute Facial, so you can go and check that out for a full, in-depth review. Basically, this is an exfoliating and illuminating treatment that gives skin an overhaul, in just a couple of minutes. Yeah, one minute is pushing it. As I say in my review, the application process is unique and isn't what you'd expect. But, the instant results are some of the best I've ever experienced and people could be fooled into thinking you've splashed out on an extortionately priced, spa facial. Even I was questioning myself. All from the comfort of your own home. If you have reactive, sensitive skin, then this may be too intense, so that's something to be wary of. 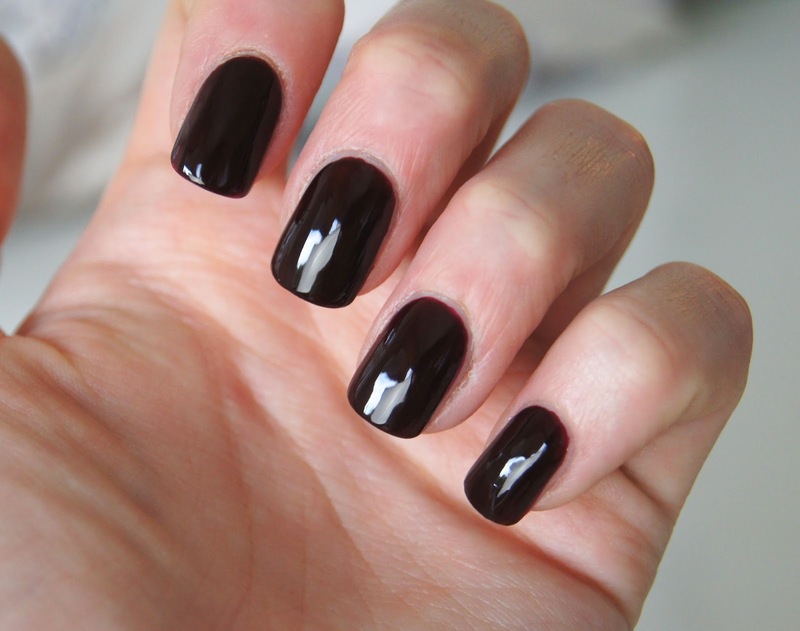 I gave in to my craving for dark nails about a quarter of the way through September. I just couldn't hold out any longer and painted my talons with Nails Inc. Nail Kale in Victoria. This new, gimmicky-sounding formula, enriched with that trendy, superfood of the moment, kale, is meant to actually do your nails some good. If it does give me stronger, healthier nails, that's just a bonus to be honest, because I'm obsessed with the colour and finish of this polish. A deep, cherry shade, it verges on black after a couple of coats, but the red tones still give it a flattering warmth. Since first trying it, I've reapplied it every time I've re-done my nails. On my fingers and toes. Chic and sophisticated, it matches every outfit and only pushes me further into the A/W mood. And the gel-like formula is just divine. Super smooth, the finish is ultra glossy and stays that way, even if I forgo a top coat. 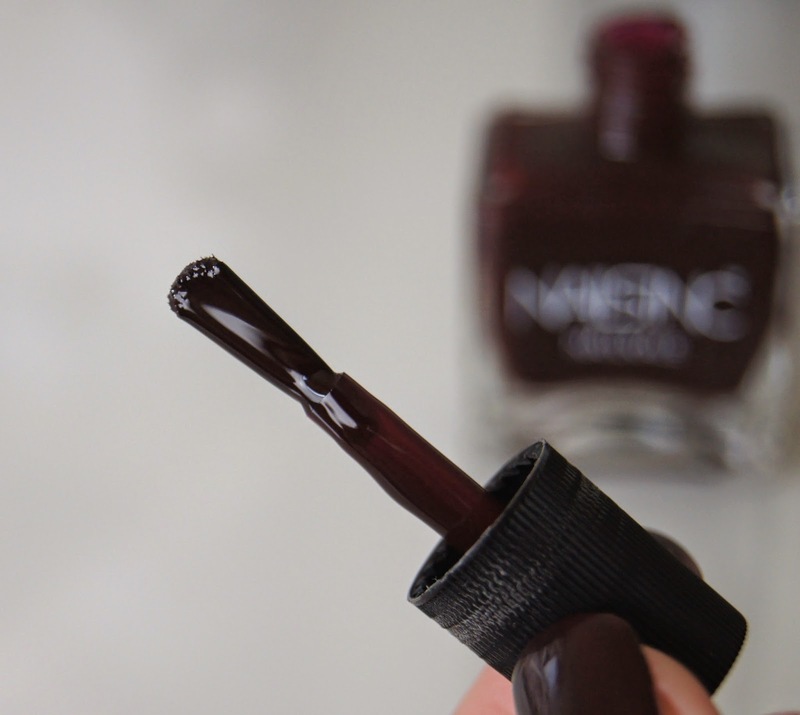 Two coats is all you need for an even, opaque colour. The round-tip brush fits perfectly into the cuticle and is wide enough to make application speedy, but precise. I've even risked lacquering my nails with this on the train and had no smudges or flooded cuticles to try and correct. It seems to dry quicker than regular varnishes and has impressively remained pretty much perfect after a week of wear. 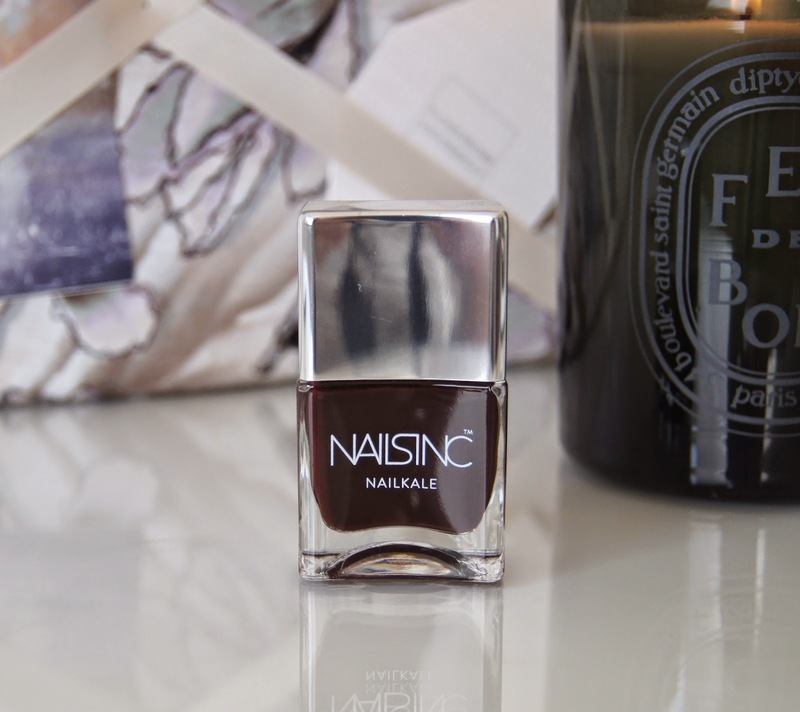 Nails Inc's bottle design is much improved after a recent revamp, but the bottles making up the Nail Kale range are big ol' bessies. At £14, these polishes aren't cheap, but if you're really into nails and appreciate quality formulas, then you have to try them out. If they're good enough for Alexa, then they're good enough for me! I've been loyal to the Real Techniques make-up brushes for a good, few years now and, don't get me wrong, I still adore them. However, my collection was starting to look a bit rough around the edges and, whilst I had to replace a couple of my favourites, I thought I'd broaden my brush horizons. The first brush I picked up during September was the vegan-friendly Urban Decay Optical Blurring Brush. Sitting somewhere between the Real Techniques expert face brush and buffing brush, the soft hairs are packed together, but aren't too rigidly set in place. Blending foundation into the skin is quick and easy, as the domed shape fits into the contours of the face perfectly. No matter what sort of foundation you're applying, this brush allows you to buff the base in enough to look natural, whilst giving a flawless, even coverage. As a treat, when perusing the beautiful beauty hall of Liberty, I picked up the Hourglass Retractable Double-Ended Complexion Brush. That's a mouthful, isn't it? Ideal for travelling, this tool comprises of a buffing brush at one end, along with a smaller, tapered brush at the other. I find this duo is best used to apply a sheerer base and a high-coverage concealer. As the hairs of the buffing end aren't as tightly packed as similar tools, it could be used for powder, bronzer or blush. Personally, I like to use it for a speedy application of BB cream or powder foundation when I'm on the go. The pointed end is much denser and allows you to concentrate coverage in more specific places, such as the inner corners of the eyes and around the nose. Hourglass products are always impressive and this handy, compact tool is no different, with the ultra soft, cruelty-free bristles looking and feeling amazing. 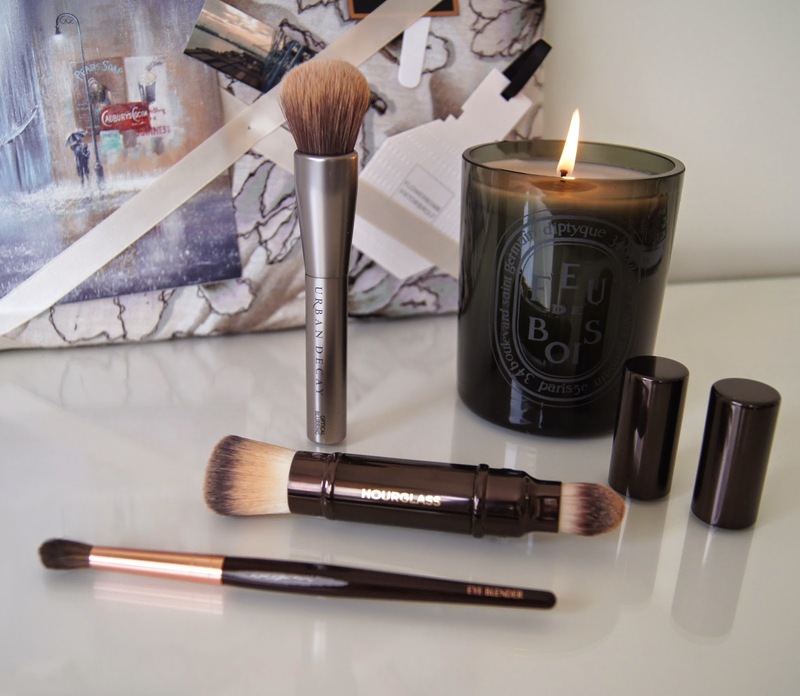 The final, new addition to my brush bounty, is the Charlotte Tilbury Eye Blender Brush. I've gone through so many MAC 217s that it was time for a change. When I purchased a palette from the makeup maestro's brand, it seemed like the perfect opportunity to add one of the beautiful, rose gold tools to my collection. If only you could reach through your screen and feel just how soft this brush is. Hand-crafted by the same people that make her artist father's paint brushes, you'd expect them to do a stellar job and that, they do. Distributing just the right amount of colour with the longer, central hairs, the shorter, outer circle then blends it effortlessly. The brush does all the work for you. If you like your eye socket to be well defined, but buffed out to look like a natural shadow, then this brush will be right up your street. Yes, it's pricey, but the quality is unreal and I'm definitely going to put a couple more from the range on my Christmas list. What were you loving last month? That nail polish though.The Bourjois mascara looks great on you!